Welcome to the very first SpotLight, where I will be interviewing various side hustlers in various niches talking about how they came about their side gig and where they are today. As this is the very first edition I thought I would bring a very special one to the blog. This is the story of Amy, aka BOSS MAMA. 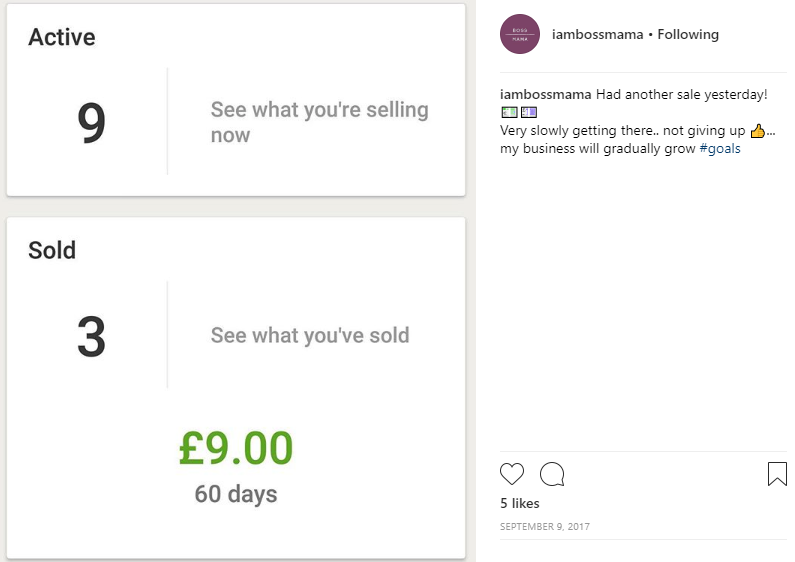 We first crossed paths on Instagram in the reselling community where resellers share their tips on what they have bought, sold and flipped for profit. It’s a very welcoming community that spans across the globe. Amy first started out as many do online which was selling on eBay. From here as is the natural progression for many others she went into matched betting and surveys (something I am not a fan of). She has since found her feet with a quite incredible transformation and the relentless workload of her and her partner is now paying dividends. [ME] Hi Boss Mama! Thank You for agreeing to do this. 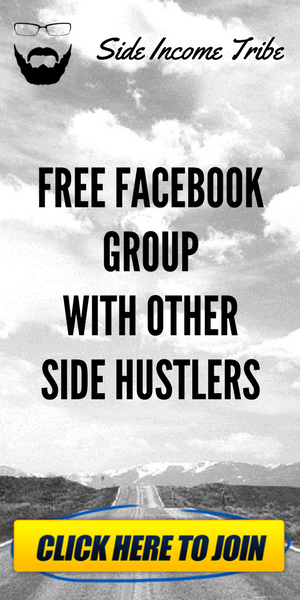 I guess we should start with what is your side hustle and how did you get into it? 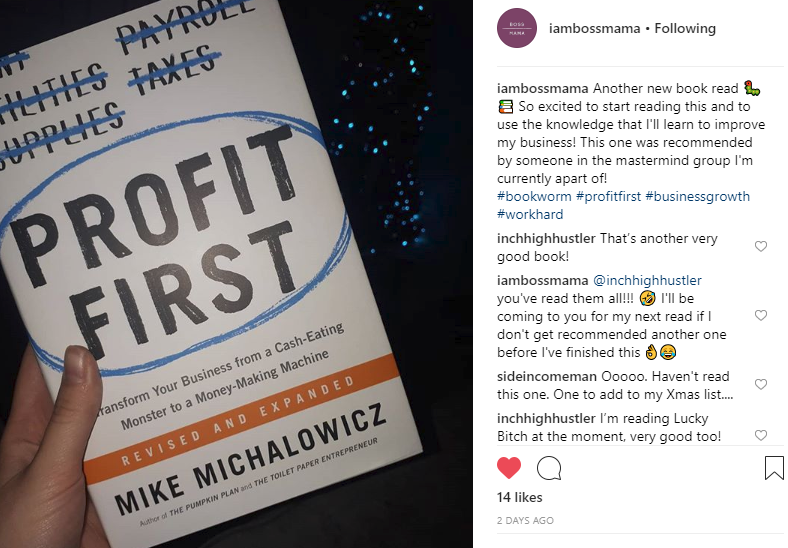 (AMY)So my current side hustle is AMAZON FBA! So basically, I started by actually selling on Ebay, and I sold second-hand clothing on there! I would go to charity shops for my ‘stock’ and sell it for a profit! I created an Instagram page dedicated to my Reselling and followed a lot of Resellers and that’s how I came across Amazon FBA! I saw that a lot of Ebay resellers were starting this side of business so I was very intrigued!!! I did a bit of research beforehand and found your blog actually which was amazing, it gave me an idea of ‘how to FBA’… basically how to source, how to look for those good sellers and I’ll always remember the first time I sent my first FBA box in, I stayed up until 2am and I had your BLOG up on how to send in a shipment and followed it step by step haha… but yeah, I started on FBA selling secondhand books, again, going to Charity Shop’s and scanning every book I seen. After a month or so of doing that I came across Online/ Retail Arbitrage and that just opened up a whole new world to me (this is buying items from a retailer at a low cost and selling it for a higher cost to earn profit!). I LOVE it, it’s amazing, truly amazing. So I left the secondhand books behind and began my journey doing OA/RA and have loved every single second and it’s helped me grow in more ways than I thought! [ME] What is a “normal” day for you? How do you manage your time effectively? (AMY) No day is Normal for me John haha… no but seriously it’s not what people would call ‘Normal’ … every day is different for me. I wake up every day at 4am, sometimes 5am it depends on how much my 1 year old has woke through the night. I’ll get up and have some ‘me time’ for an hour or so, this is where I say my Affirmations for the day, re-read my life goals and re-read my current smart goal, I then sit and read my current read for the day and as I’m writing this my current read is Profit First by Mike Michalowicz, I do this to get myself in a good mood for the day, get myself feeling positive and raring to go… plus its literally the only time I get to myself because once Theo is up (my son) then I have no time for me time hahaha! (AMY) Then after I’ve done that I’ll do my to-do list, I never have more than 7 items on my to-do list so I don’t feel overwhelmed etc. and I number them, the most important thing is the thing that will make me money or more money! I check my emails and then I knuckle down and do the first thing on my to do list! To answer your question ‘how do I manage my time effectively’… well I have a 1 year old so its really all about managing my time around him, like I said, I make a to-do list and manage my day by prioritising tasks, do the tasks that will grow my business first and all the adminny tasks are at the bottom of the list and get done once all the important tasks are complete. I always work MUCH better in the mornings, hence why I get up at between 4-5am, I am so much more motivated then so I do all my important tasks in the morning when I know I work best. I try to get everything I can done whilst also looking after my son throughout the day plus working part-time. [ME] Wow! You really do manage your time well. As a parent myself I know what you mean. So, this brings me on to the next questions. Do you set goals/targets? Do you have an end goal? (AMY) YES YES and YES! Goals and targets are so important to help your grow and develop, not only personally but for your business also! My goals massively motivate me to work harder, on the days I feel like lying on the sofa and binge eating I think about my goals and how that one day I laze about, that could be spent to make my goals become a reality and make all my dreams come true! I have A LOT of goals personally and for my business, so basically my current personal goal is to quit my part-time job by the end of Jan’18 and work on Amazon full time and my business goal is to be making £2000+ in profit by the end of Jan’18. Once they’re complete I’ll move on to my next personal and business goal. [ME] Is there anyone who inspired you or inspires you still? I would be happy to link out to them. 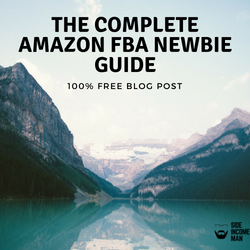 (AMY) Yes, so when I was starting out on my Amazon FBA journey I was recommended a youtube channel to watch, Kevin Blackburn, he provided a lot of FREE content about OA/RA and that’s where I basically learned A LOT on how to FBA! His free content is unbelievably helpful and I think that a person who can go out of their way to help others for free, basically like yourself, is unbelievable and such a genuine thing to do. 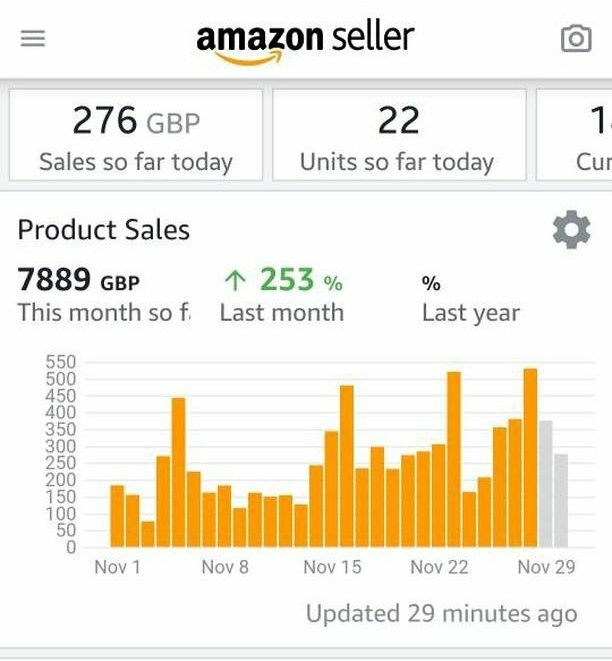 You can see Amy’s sales here for November in which she nearly topped £8000! [ME] I feel that even though we are in incredibly challenging times we are also a generation that is incredibly lucky in terms of what we have at the click of a mouse now. The information age has given people so many opportunities. What would you say to people just starting out with a side hustle who perhaps feel a little overwhelmed? (AMY) I totally agree with this statement! This is the golden age, I am a 24 year old with a 1 year old son and from my own home I have been able to start my own business, its truly amazing the opportunities out there for people, anyone can do it! If you’re reading this and you’re just starting out with a side hustle, my advice is KEEP AT IT! Never give up, it’s going to be tough, its going to be hard, but if it was easy EVERYONE would do it. If you aren’t apart of a mastermind, join one, if you haven’t done a course DO IT! (Providing you have done your research about the person who runs the course and looked at the feedback or even spoken to the people already doing or already done the course) and reach out to people, social media is excellent, find people who do what you do and speak to them, chances are they have either gone through the same or are going through the same so they will know how you feel! [ME] Where can we find you should people want to follow your progress? (AMY) I only do Instagram at the moment, so please follow me on @IAMBOSSMAMA, reach out to me if you have any additional questions or need advice, I am more than happy to help others and be able to pay back all the help I’ve received from some amazing people! [ME] Lastly. Thank you so much for doing this. As a bonus for the readers, what would be your number one piece of advice to give to people thinking of giving a side hustle a go? (AMY) No problem John. DO IT AND DO IT NOW. Literally, I read a quote, “One of the many reasons people fail in life is due to PROCRASTINATION. This is when people wait for the time to be right to start doing something worthwhile. DO NOT WAIT. The time will never be right. Start where you stand work with whatever tools you may have at your command, and better tools will be found as you go along” … you can do it, we are all amazing human beings and deserve to live the life we want. I would like to say a massive thank you once again to Amy for doing this and providing us with so much honesty and being transparent about her side hustle. This proves there really are no excuses. Amy has a young family and a job and she and her partner have managed to build an asset that they can grow into whatever they want it to be. I personally would like to wish them the very best in their efforts for the future. As a Father to two daughters myself, I will be showing them this post to read in a few years time to show what can be achieved with some determination, goals and good old-fashioned hustle. Please share your appreciation, thoughts, and comments below. Girl you are a money machine! It’s amazing what you could do all by yourself! I can’t take all the credit, my partner helps ALOT with the Amazon business as in packaging and helping me source! He’s amazing and it’s great to have the support I have from him! This is awesome and really inspirational. I love seeing stories of people who turned their side hustle into their main money maker! Its awesome isn’t it just! Thanks for stopping by. Thank you so much Jessica! On the 28th Dec I left my job and now do this full time, it’s truly amazing! It’s awesome to know you are doing so well for yourself. Keep up the good work. Kudos! Wow thats inspirations! Forget making money, I can’t get decent comments and follows! I must be doing something terribly wrong…. I’m sure you aren’t doing anything wrong, it all takes time remember that! When you hear success stories you don’t really hear or see of all the work put in for that person to get there! It’s been tough and I’ve been working relentlessly, I’ve did alot of research, read books and even read self improvement books to keep the positivity flowing on the really tough days. What ever you’re doing keep doing and one day you will get there. You really write well and you really know how to motivate others to earn extra money. This is so impressive, inspiring and informative! Thank you so much for sharing her story! Yes – a very inspiring story. She initially read my guide as a complete newbie as now look at her go! Truly awesome! Wow, that’s so exciting! Sometimes it just takes a little time. Yes it does take time you’re right! I’ve put in alot of hours and hard work to get where I am! Thank you for taking the time to read this! Always love to hear about people’s side hustle becoming a huge success. This is such an inspiring story for others looking to do the same. What an inspiration. I started FBA in September, sent in about 400 books and haven’t really touched it since, this has really inspired me to pull my finger out and get going again and hopefully I can tell a similar story in a year’s time! Its great isn’t it! Just shows you what can be achieved with a bit of hustle! Wow..its really inspiring. Thank you so much for sharing her story!